Jenkinson's Boardwalk at Point Pleasant Beach. Authorities in Point Pleasant Beach are planning to up their presence on Friday afternoon in preparation for what could be another large and possibly unruly party in the area. 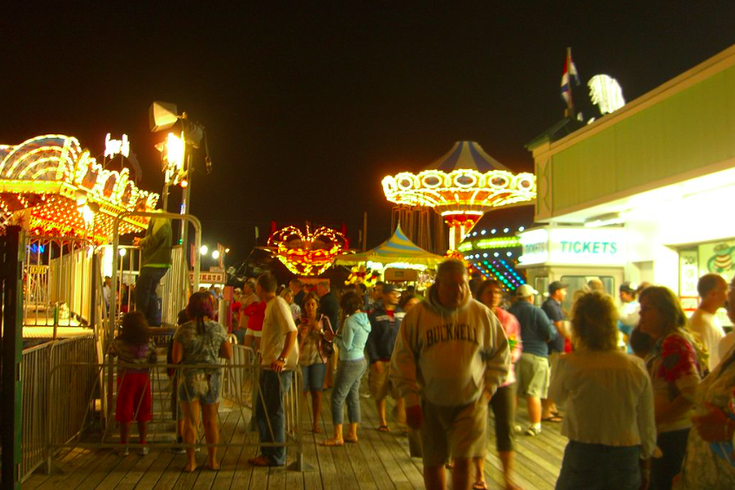 In a statement on Facebook, Police Chief Joseph A. Michigan said the department will be out in full force from noon to 9 p.m. Friday to monitor an "unsanctioned event" similar to what took place two weeks ago in Seaside Heights. The apparent event is a "Summer Beach Meetup" organized by Demon Brothers Ent. and promoted on Instagram. Michigan said his department will receive assistance from county and state agencies to keep the anticipated event from getting out of control. Over Father's Day weekend, a large social media-fueled party in Seaside Heights turned into a raucous beach brawl. More than 15,000 people were estimated to be in attendance at the event, which lacked coordinated crowd control and reportedly resulted in several fights. "To ensure the safety of the residents and visitors of our town, the (police department) is taking every necessary step, and as a precaution, you should expect to see a very high presence of law enforcement on this date," Michigan said.